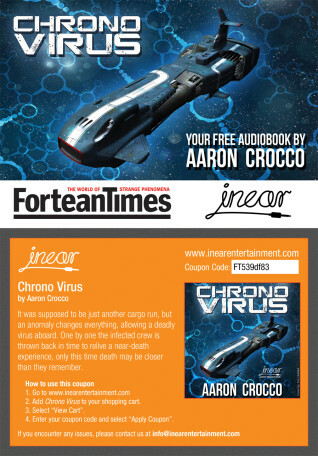 Dennis Publishing, a UK publisher that produces more than 50 magazines, is to offer Chrono Virus, the audiobook novella by Aaron Crocco and read by Osian Edwards, as a free gift when people subscribe to the Fortean Times in the coming months. The Fortean Times is a magazine we always make sure we have access to here at In Ear Entertainment. It’s filled with news reports and analyses of strange and wonderful phenomena from around the world. It always provides inspiration for a story or two. The magazine covers anything that could be classed as paranormal, metaphysical and extraterrestrial. The topics of the magazine fit nicely with Aaron Crocco’s Chrono Virus that deals with near-death experiences, time slips and space travel, each of these having been explored in the magazine at some point. When a reader takes up a new subscription they will be sent a postcard with a special, unique code to allow them to download the audiobook from our site. The postcards look quite snazzy, don’t you think? Currently we don’t know in which issue the offer will begin, but as soon as we do we will let you know. If you want to listen to Chrono Virus, take a look at it on our shop. You can listen to a sample and buy the audiobook directly from our site. 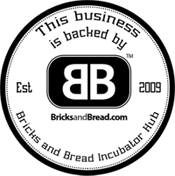 Aaron Crocco is a writer and podcaster from New York. He started the successful Geekcast podcast in 2005 and has been doing weekly shows since, covering the week’s technology, TV, film and gaming news. He’s published many short stories and has also created an apocalyptic series called As Darkness Ends. He has an encyclopaedic knowledge of Back to the Future and owns his very own Delorean, albeit without a Flux Capacitor.